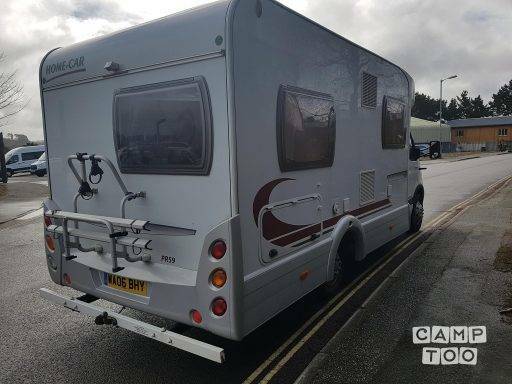 4 Berth Motor Home With A Fixed Double Bed. Some of our customers will be pleased to know She is an Automatic. The camper will be supplied with fuel in it. You must return the van with the same level of fuel. A bottle of gas will be supplied. If you need to buy more gas, please keep your receipt and we will refund you at the end of the hire. Please check that the gas connections are tightly secured before use. We are flexible on the collection times of the vans, please let us know what time you think you will be arriving and we will do our best to accommodate you. The price of the hire includes fully comprehensive insurance for one driver. If you require an extra driver, please let us know and we can add them on at a cost. The driver(s) must bring with them a valid and in date photo driving licence and a copy of 2 recent utility bills to prove your identity. If you fail to show these documents, you may have to forfeit any fees paid. Je kan de camper ophalen in bij Daniel. Je kan je auto hier gratis parkeren.